Garage Hachi: ** the risks of the daily driver..
** the risks of the daily driver..
Driving my old Trueno everyday has its ups and downs, and after the high of the weekends mods, we have a little low today. During some slightly over enthusiastic parking manoeuvres on my small snow covered driveway I clipped a small (cast iron!) fence post with my rear left corner! 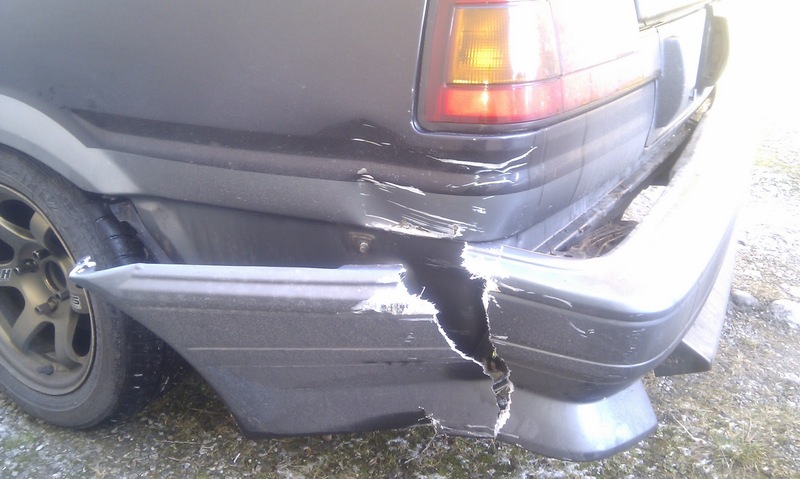 It was a slow speed impact but the damage was done. 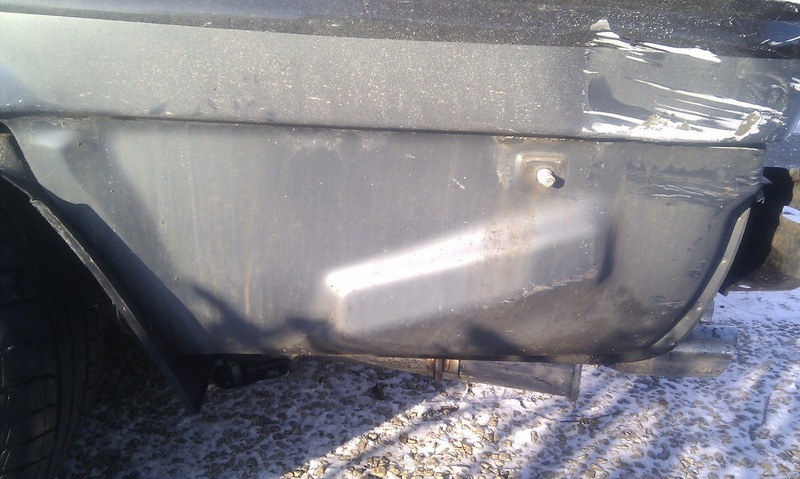 A nice big crack in my lightweight RunFree bumper and a bit of a dent and scrape into the panel. Very inconvenient when I was only on my lunchbreak. 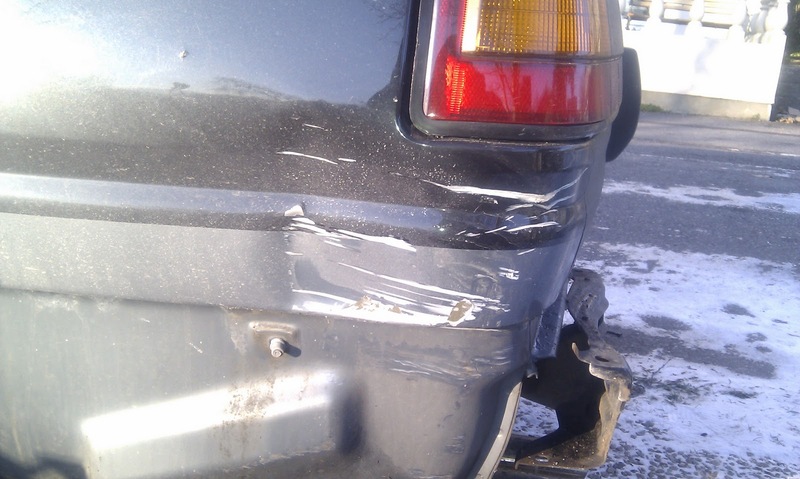 Luckily my left Redline was spared, and the damage did not extend below to the pocket. I took the bumper off for a quick cabletie fix. ...and examined the rear of the car. 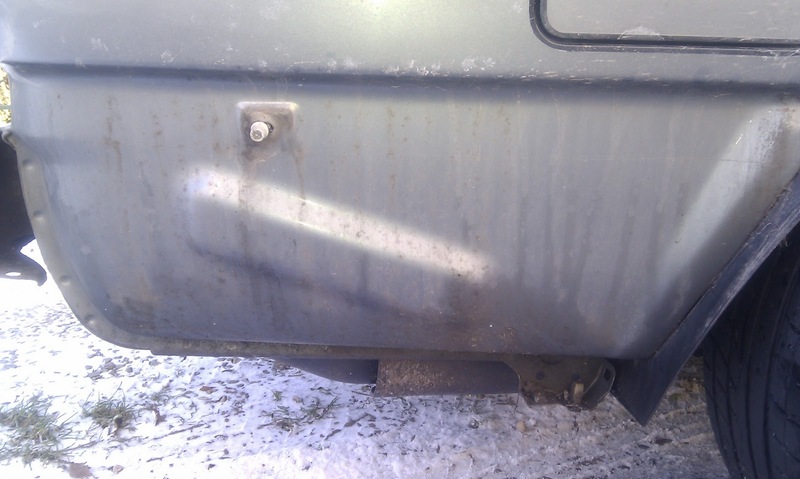 I hadn't had the rear bumper off since I got the car, it was the last unexplored place, so I was pleased to find the pockets were in very good health. 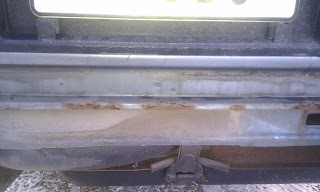 Unfortunately there was some rust growing on the rear panel seam.. I had seen a little of this a few times before when the car was up on the ramp but I got to examine it closer today, although I wish it was under different circumstances. 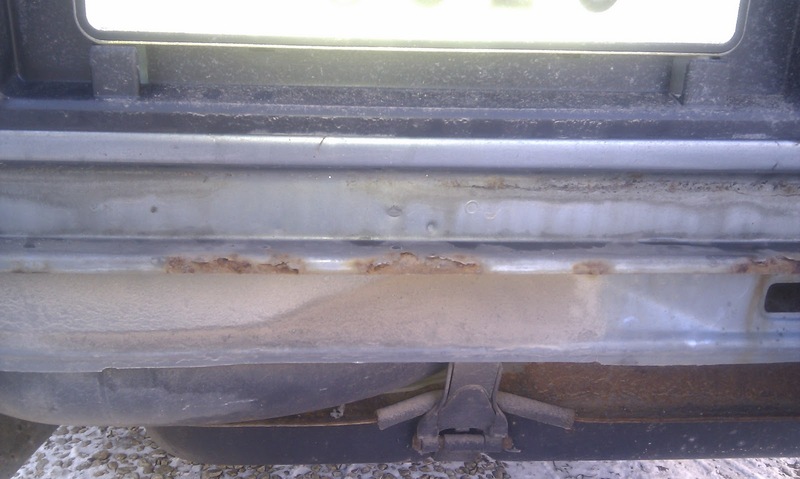 I was going to keep the RunFree Aero with the early splitter combo on the front bumper but it looks like I will be going to standard rear end & skirts afterall now, a new RunFree will be silly money and I dont think it could be cleanly repaired as its so thin. 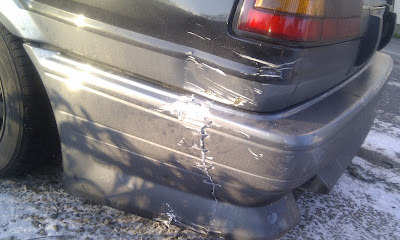 So the car will be taking a trip to the bodyshop for the rust aswell as my new damage. The not so fun part of daily AE86 life! Winter car or at least winter tyres next year I think..
Hey man, if you repair the inside first then you will have thickness to repair the outside. If I lived near I could do it but alas I'm in a different hemisphere. 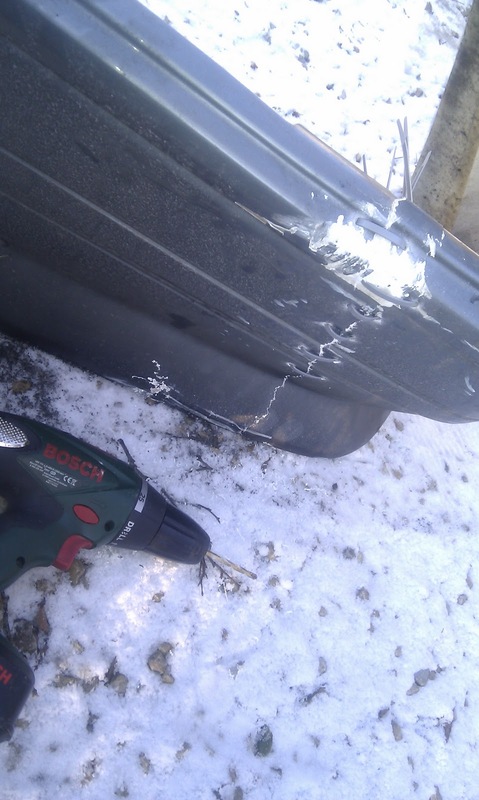 Happy to talk you through it if you are keen to diy.